My only complaint is the food is a little too good. I ate my own weight in wings, grilled cheese and tomato soup and anything else that I could annihilate, maybe someone's hand that got in the way. Solid spot for quality craft beer on tap with a huge selection. You can keep track of the beers you've tried; just ask the bartenders and you can create your own card for when you come back! 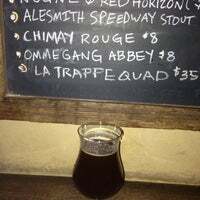 See, I'd tell you what beer I like, but by the time you read this tip, the entire beer list will have changed, and that's how you know it's an awesome beer bar. Over 20 choices of fresh and unfiltered IPA’s with an amazing diversitiy of recipes and hops from Other Half Brewing. I’m not sure how often the menu changes, worth checking every once in a while! It's pouring outside so the fireplace was the obvious choice for our night out! Cozy up by the fire with a cold beer, what more to ask for on a cold night such as this? One of our 10 best Manhattan bars- Beer buffs rejoice. Here is a place where everyone is as nerdy and psyched ab suds as you are. Clasp your hand on neighbor's back & drink to your healthy obsession. You’ve got to be crazy to stand out in New York. Near fanatical. 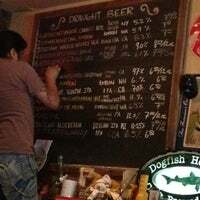 Like this place is about their beer—draught, aged, vintage, cask. Luckily the help on hand can keep you sane while you try to order. Fantastic selection..I doing a tripel call Merry Monks. It 9.3% and great price... Tip your bartender and you get perverted service! Must go if I'm in Villages. 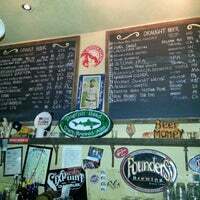 Excellent and constantly changing craft beer list. The wings are great too. Can get crowded, but there is no shame sharing tables with strangers. Nearly every Wednesday, this bar opens its taps to a single brewery with an epic list of mainstream and rare beers. Don't miss the food, either - especially the grilled cheese and tomato soup! The ultimate place to stop by for a brew. The beer selection is pretty extensive, which makes deciding on just one to wash down the tasty food pretty challenging. Great selection - the cask stuff is always more interesting. If you're lucky you might get some vintage stuff e.g. 2010 Dogfish head olde school. I like to chill by the fireplace. Murray's Cheese food and craft beers. An amazingly great mix. Often packed with limited seating but near the fireplace in the wintertime can be a great place to relax. This is a hot spot for day drinking. 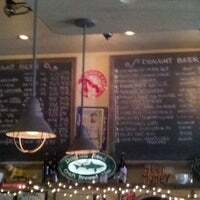 They have a great beer selection and they have grilled cheese with tomato soup which is one of my favorite lunch options. 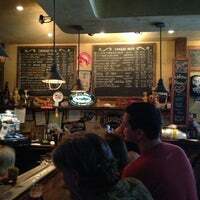 In heart of the West Village is a fantastic beer bar that will sure to make you a regular. What needs to be said about BT that hasn't been said already? 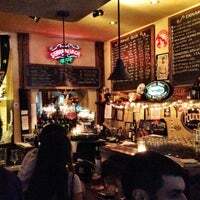 Old school bar with one of the best beer lists in NYC. Stop playing around and come in already! 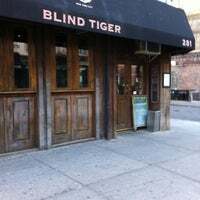 A great bar on the best block in NYC. Beer is a no brainer with the amazing selection, but I've had some good glasses of wine by the fireplace too! Very famous beer bar with a good selection. 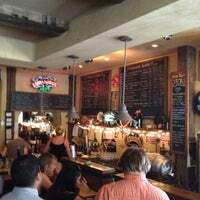 With the fame comes large crowds, and that can be frustrating when you actually want to order one of the many beers on tap. The BT in the winter next to the fireplace or in the summer next to an open window is one of my favorite places in the city. Great bartenders. More than 50 beers by the bottle and 28 on tap. Just make sure you know what you want, because the bartender is usually not to keen on helping you make up your mind. 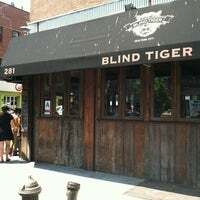 My favorite bar to visit when I visit New York! 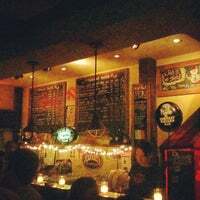 Super cozy atmosphere, lots of great microbrews to choose from, and yummy food. The deviled eggs (yes!) and veggie chili were on point. A necessary stop for the New York craft beer aficionado. 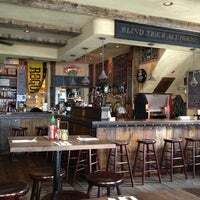 The revolving tap list and laid back atmosphere make you feel right at home. One of the best beers you can ask for is the Brooklyn Black Chocolate Stout. The second is the Ommegang Abbey Ale. Pair either of these with the Charcuterie Plate, and you'll go home happy. Can't be in the West Village without a stop here. Awesome variety and selection of craft beer. Small place, so it gets crowded. Try to grab a spot at the bar. 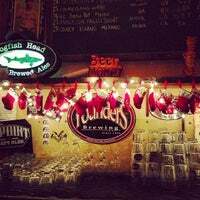 Tons of craft beer on tap and a cozy atmosphere. Love the bartenders too. If you're lucky, they'll offer up a free refill. Get some beer or super fresh-tasting cider and sit by the windows post-brunch. Friendly bartenders, but there can be a wait for a table. Go on Wednesdays for the gratis cheese plate from murray's! But go early - they put it out right at happy hour and it disappears fast! A must visit for beer folks. Try and go early when it's not so crowded. Don't be afraid to ask the bartenders for guidance. 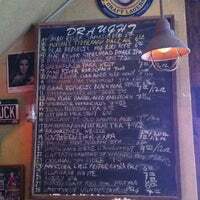 Awesome beer list and reasonable prices -- a rare find in the West Village! Super casual, would like to return for food eventually. One of the best places in the Village to find your heart's desire of seasonal craft beers on tap; typically around 30 at a time! They have about 30 draft beers. Most of theese beers are from the US. Great place to try the best of american beer tradition. Two day (Wed/Thu) Pacific Northwest Beer & Oyster Fest. $12 for a half-dozen from Yaquina Bay. 4 breweries represented across 15 taps ... Rogue, Gigantic, Ninkasi & Midnight Sun. Grilled cheese, tomato soup and a great beer (or two or three) makes a great lunch. Excellent selection of beer, both draft and bottles. Also a tasty choice of food, from cheese plates to full meals. Great rotating taps all the time. It gets pretty crowded but it’s a cool hangout spot. Good selection of craft beers. Great selection of beers and awesome staff! If you like try different labels this is the place for you! 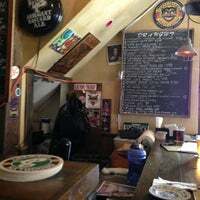 Awesome friendly and cozy spot for great beer. Amazing draft list. Bartender gave me a "you better know what you want" vibe, rather than "I'm here to help." But I loved the beer list, and Google helped me decide. 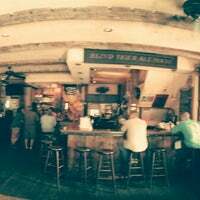 "Amazing service, great atmosphere, huge drink selection, ton of beers on tap, great food... I could go on. Enjoy!!" "Great beer. Chill atmosphere. Lovely staff. A fantastic place in the neighborhood." "buen ambiente, pizzas excelentes! Love The anchovies pizza e birra!" "Lobster Mac and cheese - calorific heaven! Must do the oyster/wine $8 deal. AND THE FISHERMAN STEW!! No to the mussels."